Hungary is the new capital of hair transplantation. 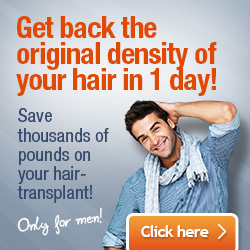 Men and women looking for affordable hair implant surgery should look to Budapest, Hungary. This country has already made its name as a dental hot spot of Europe and has been holding this position for decades now. With the new hair replacement technology called FUE hair transplant has become an option for many male and female patients in the UK and Ireland. FUE is not only affordable but it is also less invasive, scar-free and painless hair replacement procedure. In 2013 a bit of a hype went through in the media – well known celebrities came out with statements that they had taken hair loss surgery. This was not only an admission but it also gave hope to those not having considered hair transplantation before. The encouragement from iconic people and the cheaper, affordable procedure created quite a stir in Great Britain. 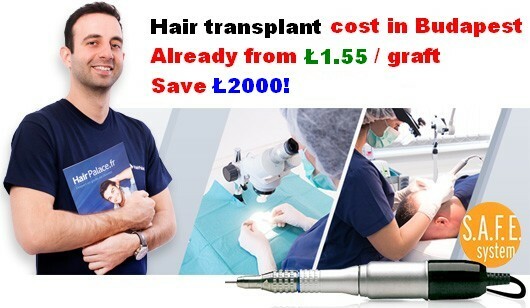 And what adds spice to this is that FUE hair transplant costs half the price when performed abroad – in a country like Hungary. Why go abroad and undergo hair loss surgery? A hair trip to Budapest worth all the trouble and money? Male patients can save up to 60% on local hair transplant cost and the hair restoration procedure takes 2-3 days at a maximum in Budapest. 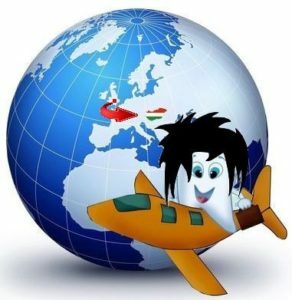 All it takes a free consultation, a budget airline and a hotel reservation – the cost of which is usually covered by the hair clinics in Hungary in their dedicated special offers and packages. You devote 2-3 days of your time on travelling, the FUE surgery and after 6 months or so you will be a completely new man. Moneywise you can save quite a lot – hair replacement service may cost you twice as much at home. Read about the common hair transplant reasons why people choose to have hair loss surgery. In Budapest you can save up to 50% on your local cost for which you will get top quality service, utmost attention from hair clinic staff and you will like the special treatment. You will get real value for your money! Whether you need to stop receding hairline or you want to regrow hair on your thinning head top (also consider PRP treatment) you need a specialist that helps with your hair loss problem. Or you do not have enough hair at the back of your head for hair transplantation – you may have heard of BHT or body hair transplantation. Your body hair or even beard can be used to achieve the desired result under certain circumstances. 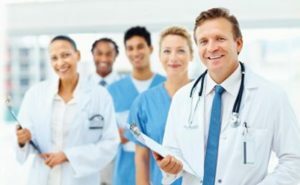 We also provide information on non-surgical options to prevent or stop hair loss with suggestions to improve thinning hair conditions but we also wish to emphasize that people looking for permanent solutions should take the non-invasise, painless and scar-free FUE-2 SafeSystem widely used in Budapest, Hungary. Follicular Unit Extraction (FUE) is the latest in hair replacement technology and an affordable option for most UK and Irish patients that want to restore receding hairline, stop thinning hair patches and look for an effective hair growth procedure that can help regain their self-esteem! Norwood Scale Male pattern baldness Compromise on quality? Hairline transplant How to thicken hair? Anyone with substantial hair loss undoubtedly wishes to obtain a natural hairline. The front hairline is the most critical aspect of any hair transplant. Previously, the front hairline was made to look like ‘dolls hair’ but modern surgical methods have allows us to create a natural looking hairline. Today, the best hair implant for patients is one that uses follicular units. These units are placed close together in the front hairline, achieving a high density. The natural hairline is an irregular area with soft transition. Sparse, fine hairs are at the forehead and thicker, denser hairs sit behind the front. For many patients, the success of the front hairline determines if the procedure was the best hair transplant on offer. The first 1.5 cm of hair is constructed out of three distinct zones, each differing from person to person. The use of these zones allows the hair clinic surgical team to define which treatment is going to be the best hair replacement for you. We have performed thousands of procedures on the front hairlines of both men and women. Our hair surgeons have years of hair loss expertise and can offer valuable advice on your new hairline design requirements. The advancements in hair treatment technology now allows hair experts to implant a large number of grafts in very close proximity. Our hair clinic is at the forefront of hair transplantation and offers dense follicular unit packing to achieve excellent growth rates. In most cases, patient hair densities may range from 30 to 45 grafts per square centimetre. Due to the small size of the grafts in our hair treatment procedures, it is now possible to insert a large number of grafts at the one time. The dense packing of grafts allows us to achieve consistent and reliable results with growth rates in excess of 95%. In the FUE hair transplant technique the donor hair extraction is carried out one by one the procedure is very different from the older strip technique the so-called Follicular Unit Transplant (FUT). 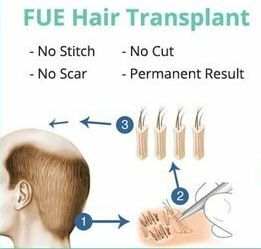 The traditional FUT is a classical mechanism of hair replacement in which the donor hairs are taken out of the scalp in single, thin and long foil (forming a strip). Afterwards the cutting of hair in the separate follicular units is performed through a specialized microscope. The surgeons prepare the little receiver holes in the bald region through a sterilized and fine needle equipment. The receiver sites are prepared prior to the extraction of follicular units. The grafts are then implanted on the receiving places on which the grafted units grow up just like the natural hair producing new follicles. The process of preparing the receiving areas and implantation of the follicular units is basically same in the both FUE and FUT techniques; however both are different in the graft extraction. FUE is a better technique for those who obtained the poor results from the classical strip transplanting or people with tight scalp. In this technique the hairs are removed from the various parts of the body besides of donor scalp like trunk, beard and it is a highly confined method. Turkey and Hungary seems to be in forefornt of hair transplant tourism. We will make reviews of hair clinics, compare prices and procedures to let male and female patients make an informed decision before deciding about a hair travel abroad. Lower cost might not always justify the choice. There should be a right ballance between what you get and you pay for. Value for the money is the most important factor you need to take into account. This is what we can help you with. Alternatively, you can watch hair transplant videos made by Hungarian Hair Clinics. Take the first step! Ask for more information NOW!